Saturday Nights are all about FUN at Destiny Dance. 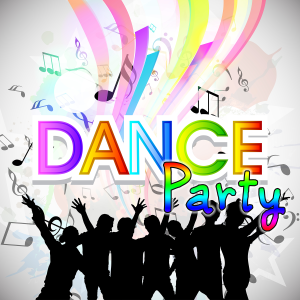 As one of the only dance studios in the south Denver metro area to offer a great night of dance on the weekends, Destiny Dance welcomes you any Saturday night to join in the fun! We begin each evening with an all levels group class on a specific dance at 7:15 p.m., then we dance the night away with two hours of general dancing featuring every major style of social dance we teach in the studio. Samba, Cha Cha, Salsa, Tango, Foxtrot, Waltz, West Coast Swing and MANY more are what you can expect to see on a typical Saturday dance party. Check out this week’s calendar below to see what we have up our sleeve for this Saturday dance party at our Denver dance studio! See you there! Come party the night away at Destiny Dance Studio near Denver!